I bought "binary" version of TeeChartPHP1 and I have trouble with installation. I have Apache server with PHP 5.2 and MySQL on WindowsXP. I ran TeeChart.Installer.jar, but they didn't ask me for License code and password. I don't know if this is the right one). I copied the samples files to apache server. I have only these directories \demos\Features,FlashDemo and VCLforPHP. Now if I open one of demo files I get error: Failed opening ../../../ sources/TeeChart.php. In installation instructions is mentioned libTeeChart.php. I can't find libTeeChart. I don't know what to do. Can you help me. 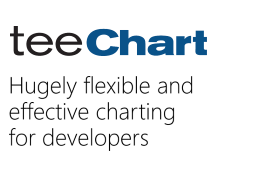 You need java to run the jar file and install TeeChart for PHP. If you don't have java installed in your machine, executing the jar file does nothing. After installing TeeChart for PHP, you 'll be able to see a sources.zip and you'll be able to continue following the instructions. Yes, I think this is the right one for your system. Thank you very much for information. I didn't have installed java. I downloaded it and now TeeChartPHP works.